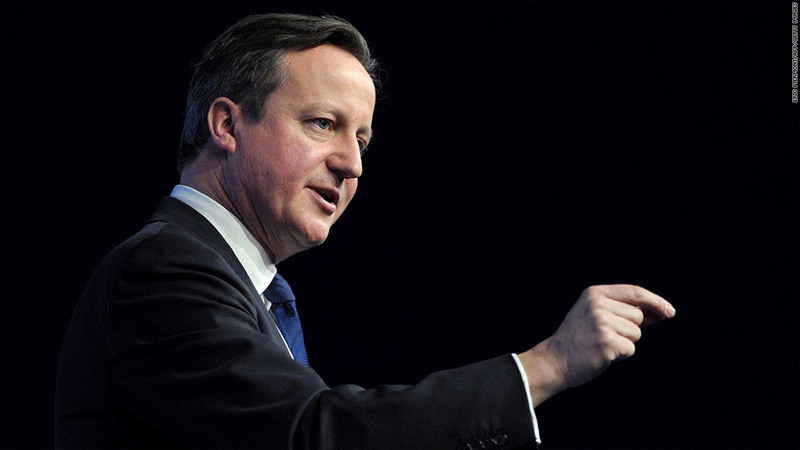 U.K. Prime Minister David Cameron says Europe can benefit from the next phase of globalization. U.K. Prime Minister David Cameron has some advice for Europe: Help fix your unemployment crisis by bringing jobs back from lower cost locations like China. Rising wages in developing economies, higher transportation costs and a desire to be closer to customers were prompting companies to bring jobs back to the U.K., Cameron said Friday. And Europe could jump on the bandwagon. "Economies in Europe have a unique opportunity to accelerate the trend of jobs coming back home," he told business leaders at the World Economic Forum in Davos. Unemployment is falling in the U.K. and the U.S., in stark contrast to the eurozone, where record numbers of people remain out of work even as the regional economy leaves recession behind. Related: China's richest man prefers U.K. deals over U.S. The U.K. created 250,000 jobs in the three months to November, the biggest quarterly increase since records began in 1971. Globalization needn't mean victory of East over West, or machines over workers, Cameron said, provided Europe does two things: press on with reforms to encourage businesses to invest, and embrace the energy revolution promised by shale gas. "European countries face a choice -- if we act now we can benefit from the next phase of globalization," he said. Cameron said the transformation of the U.S. energy market thanks to shale gas had played an important part in the decisions of many companies to "reshore" jobs. And that didn't mean countries had to win a "race to the bottom." "Getting well-paid jobs at every level is what we should be aiming for," he said. U.K. unions say 80% of the jobs created since 2010 are low paid. They're campaigning for companies to use some of the billions held as cash reserves to pay a "living wage," a rate higher than the statutory minimum to help workers afford a basic standard of living.